I was born in Hyderabad, and I have lived here most of my life. But, it wasn’t until a year ago, when a friend mentioned Fox Sagar Lake, did I even become aware of its existence. He hadn’t heard of it either, till his work for a magazine helped us discover this Lake. & This lake is beautiful. Period. Hyderabad is known for its Hussain Sagar and The Buddha Statue there. The Hussain Sagar has an iconic status that it shares with Charminar and now, Hitec City. But, in reality, it is an extremely polluted lake that stinks up the air! Inspite of this, being the only water body in an otherwise hot and crowded city, it draws in crowds by the hundreds and even thousands on holidays. I, like everyone else, have been drawn to it too. On the other hand, is The Fox Sagar Lake. In the city, but wide, expansive and cheerful. You can still see buildings, but at a distance. Though not so popular with the locals, it definitely is a hit with the birds! I wasn’t really expecting to see so many birds of such varied species. Truth be told, I did not even know what to expect. All we did was follow the route traced out on Google Maps!! But, what adds to the charm of this Lake and makes it so special is the antiquated Pump House built on it. You reach the pump house by a stretch of narrow elevated road, which is more of a dirt trail sloping off on either side with thorny shrubs as barricades. So, the only way to reach it is by foot or by a bike. When we had gone there do a recce of this place, we were driving as suggested by google maps and we were already on this road with no where else to go but ahead! Some careful manoeuvering did get us there, but I wouldn’t suggest this. Walking is more fun anyway, for then you notice more. The Pump House is a beautiful structure which also creates gorgeous, intricate shadow patterns with the sun’s rays. You would not be able to resist clicking pictures of it! Waiting – literally – just around the corner is a view just as picturesque if not more. You can go around the ledge for a beautiful view of the lake and the breathtaking quality of it is enhanced not only by the absolute vertical drop from there, but the cool breeze blowing in your face. Well, finding not just water but in a place that is relatively un-intruded upon by man, plus the bonus of a cool tranquil breeze is a very rare occurrence here, so, I am sorry if I go a little overboard with my adjectives!! PS: This fellow here, gets a special mention for just being so cute! He led us to the lake after ascertaining the ‘goodness’ of each of us. Gandipet, Where is The Lake?? It’s gorgeous. Wish ci old spend a quiet morning watching the birds…. The less well known the better, else over tourism will kill the tranquility. So true! Being non-touristy is what keeps the sanctity of the place. Nice and peaceful…..won’t be once it is discovered by tourists!! Beautiful pics of the pump house indeed. It is rather amusing to explore such a isolated place, I am equally surprised that this place is desolated and yet the age old steel structure along with mechanical equipment holds firm to it ground! No doubt only few know about this lake. It looks like a tourist spot. Who would know that it’s minutes away from the chaos of Kompally! 120 years old. Some times that pump house must have seen ! 😄 I kept thinking of that too. So, I looked up online..but found nothing!! Seems like a very peaceful spot! How far is it from Hyderabad? Yes it is really nice in the early mornings. 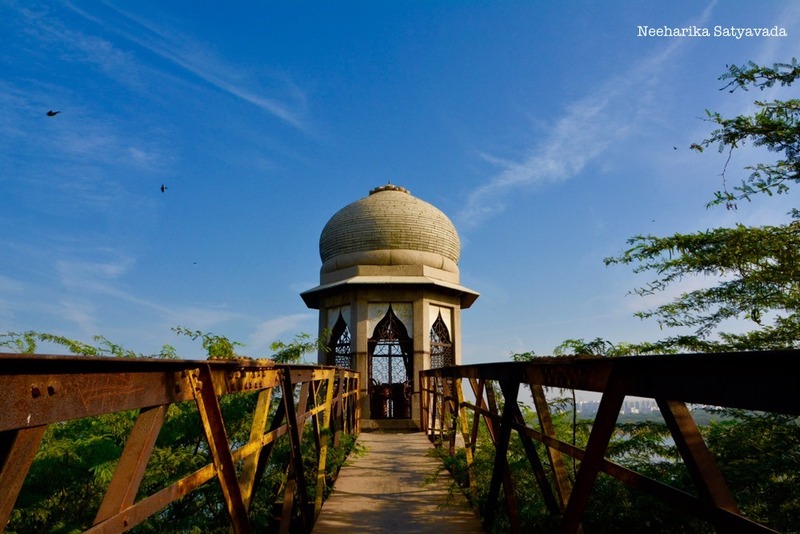 It is in Hyderabad, in Kompally, a little off the main road to Medchal.